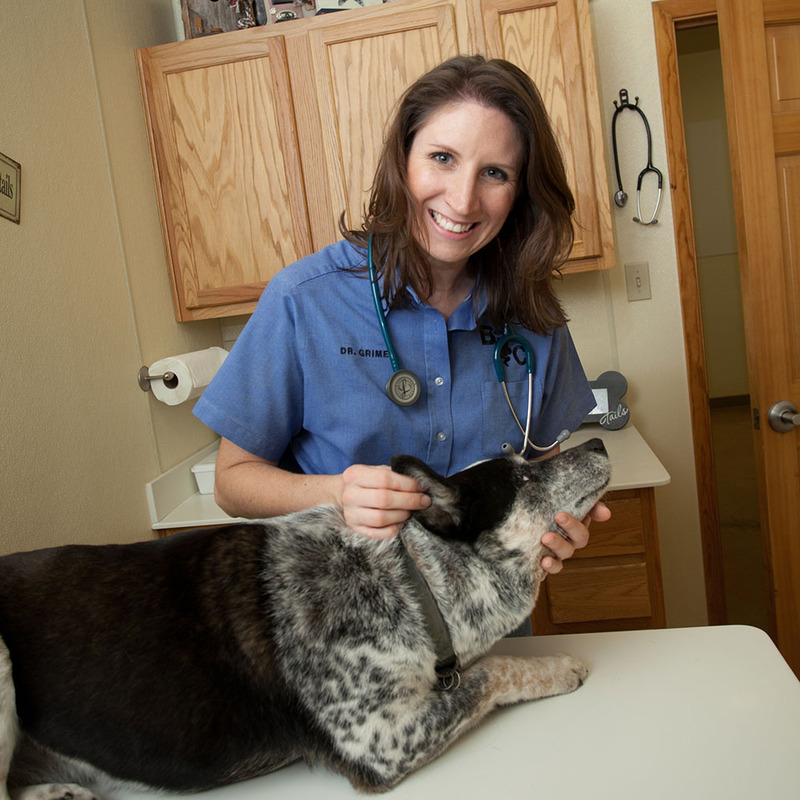 Belton veterinarian Jennifer Grimes earned her Bachelor of Science in Animal Science from ACU and her Doctor of Veterinary Medicine from Oklahoma State University College of Veterinary Health Sciences. When Jennifer Grimes (’03) was 14, one of her family’s quarter horses was stricken with colic and required emergency surgery to save its life. That was the day she decided to become a veterinarian. The family rushed the horse to Texas A&M University’s surgical facilities and rejoiced when the surgery was successful. For Jennifer, however, the experience was about more than saving a horse – it was also about finding her vocation. After graduating high school, she considered several colleges that offered her scholarships. She chose ACU. She majored in animal science with a minor in biology and grew close to professors and mentors in both departments. Although she knew her professors from classes and lectures, she found many opportunities to forge a deeper bond of friendship through activities such as the livestock judging team and the Aggie Club. Dr. Ed Brokaw is one of the professors Jennifer remembers from those cross-country judging trips. During her time at ACU, Jennifer was involved in numerous activities in her major – and some that were not. She was a member of Phi Eta Sigma, the national freshman honor society. She pledged a social club, joined the student’s association and led Welcome Week groups for incoming freshmen. Immersed in Chapel, Bible classes and student-led devotional groups, she also began to explore issues of faith and identity as a Christian. “There were so many opportunities to openly practice faith and discussions about faith [that] over time I was able to figure out a way to balance everything,” she said. As a veterinarian with a practice in Belton, Texas, she still uses much of the knowledge she acquired at ACU – particularly the business courses she included in her degree. Her time at ACU was instrumental in forming friendships, memories and an academic experience that helped her in graduate school and in her career. But for her, the best part about coming to ACU was developing a sense of identity that has determined who she is today. “My time at ACU as a whole has shaped who I have become,” she said.